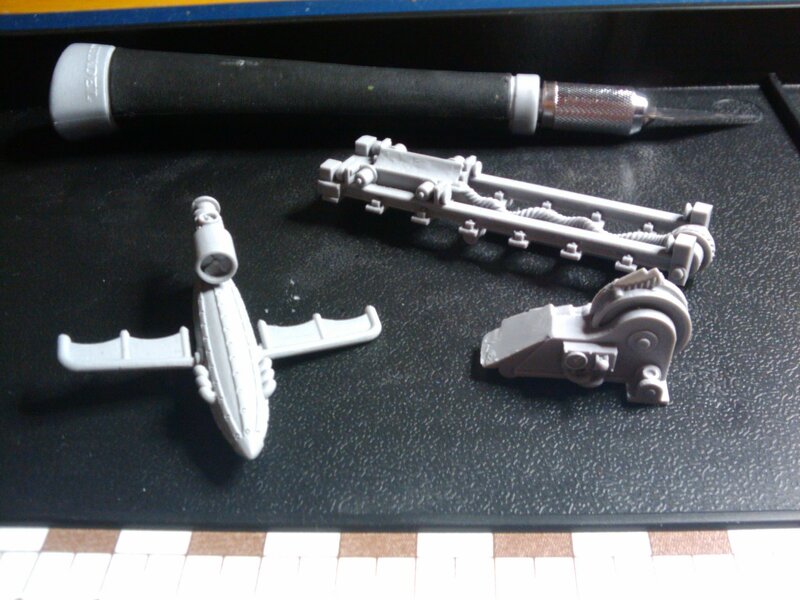 I now need to figure out how to cram four of them onto a Chimera hull for some steampunk V1 rocket Manticore badness! This might be tricky due to the wings, but I’m sure that I’ll think of something. 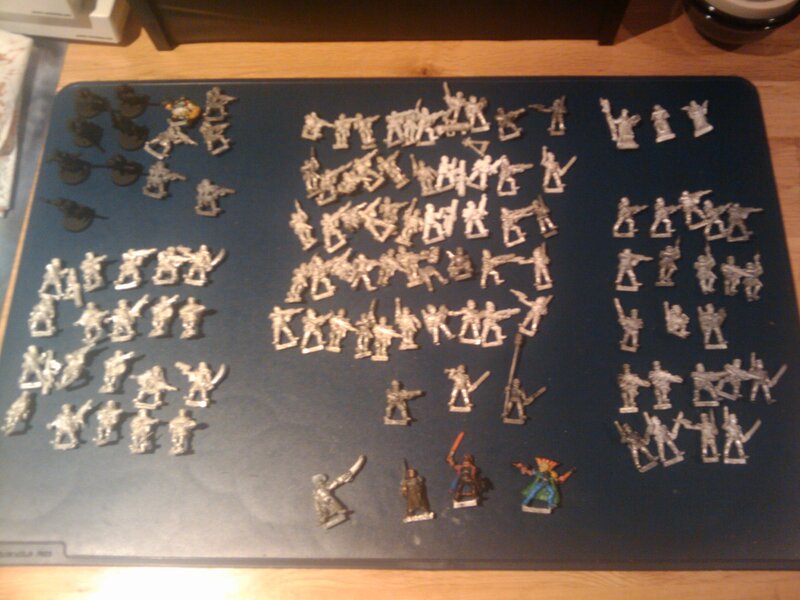 So there we are ladies and gentlemen – 30+ Tallarn chaps on the left, 50+ Praetorians in the centre, 20+ Mordians (i.e. Praetorians waiting for a head swap) on the right, plus a few characters to convert. That’s over 100 models to get through, all picked up in drips and drabs via FleaBay over the last year or so. I also have about 15 Praetorians in their base coats that I need to finish, plus 25ish fully painted. So, no more procrastination – I really want to be able to field a company strength infantry army, so I’m going to commit to a) Finishing my base-coated dudes this month, and b) getting through the 50 Praetorians by painting a 10 man squad each month thereafter. I’ll get around to head-swapping the Mordians and adding them to the ‘completed’ pile by Christmas, so by December I should have a full company of 3x 30 man platoons, plus command and support… I may try to fit in a quick spray job on the Tallarn by Christmas as well, depending on time and progress. Ambitious! In other news, my game got cancelled yesterday but I’ll be playing my pal Jim next Monday and will post a report on that… I’ll have to do something a bit special to come out on top of that game – Jim is a bit good! Anyhow, have a good week folks!